This is one of the most intense and captivating photoshoots I have seen for a long time. 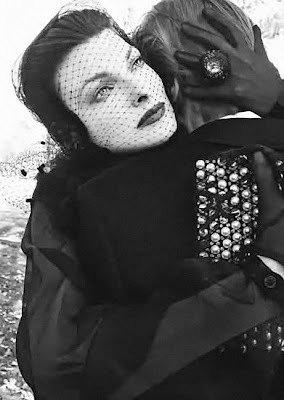 "Silent" is a cover and editorial tribute to the late Yves Saint Laurent in the August 2008 issue of Vogue Italia. 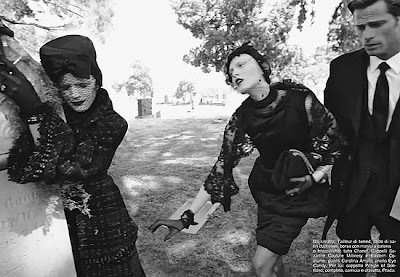 The black and white photospread was captured by famous photographer Steven Meisel with models Linda Evangelista, Karen Elson, Guinevere van Seenus and Iris Strubegger. Although the pictures are great from technological point of views there are two things I dislike: First of all the topic. 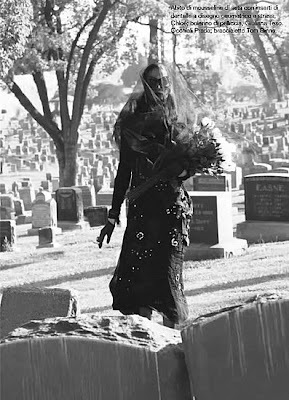 Of course it isn´t a tabu, but abusing a cementary and the theme funaral and death, suffer, pain and all things connected with fashion...that´s disgusting. 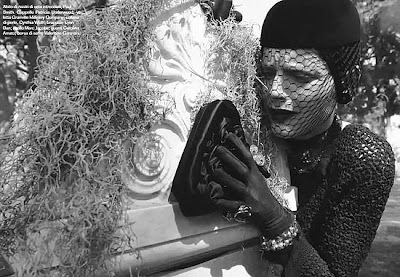 Second, the models are just average, the female even creepy!! 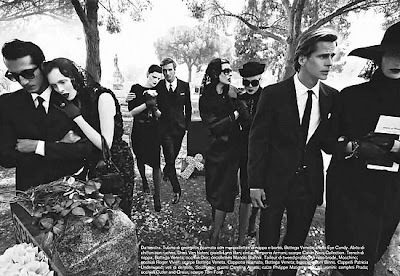 I feel this spread is trying too hard to be taboo while abusing a cemetery and taking advantage of YSL's death to show fashion. Complete turn off.